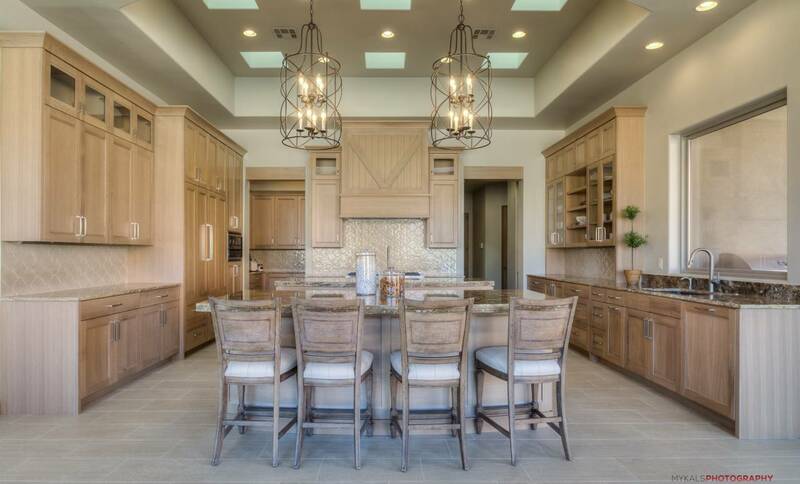 4031 sqft., 3 beds, 4 baths, built 2014, 4 car garage. 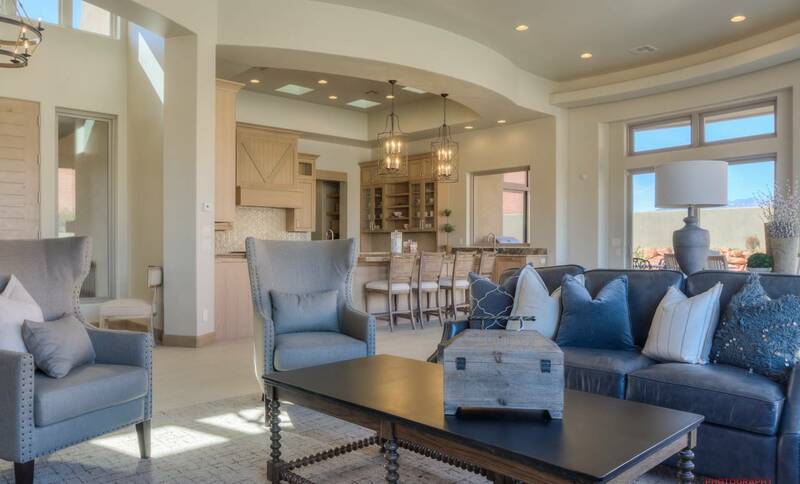 This property was part of the St George Parade of Homes. 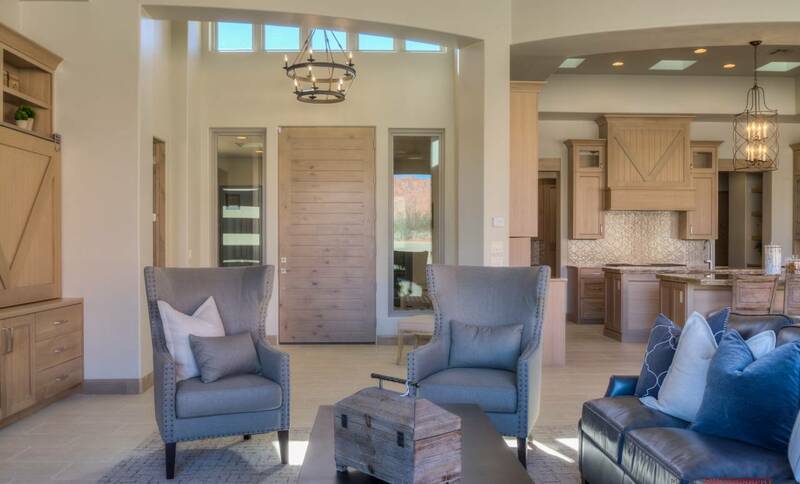 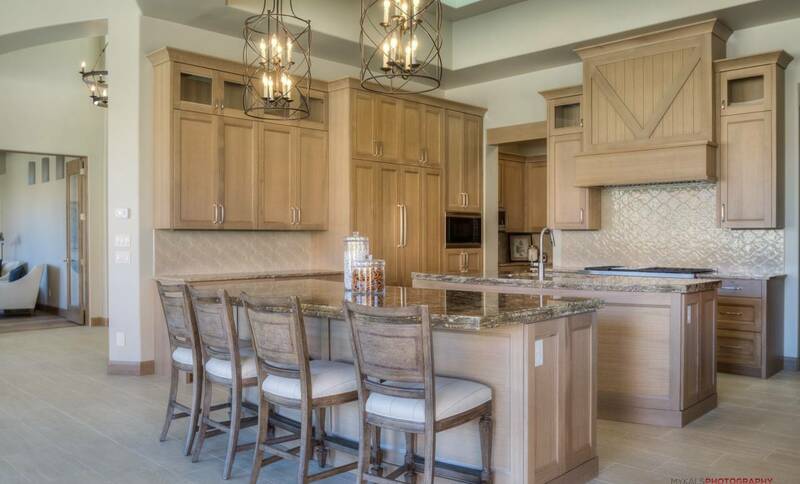 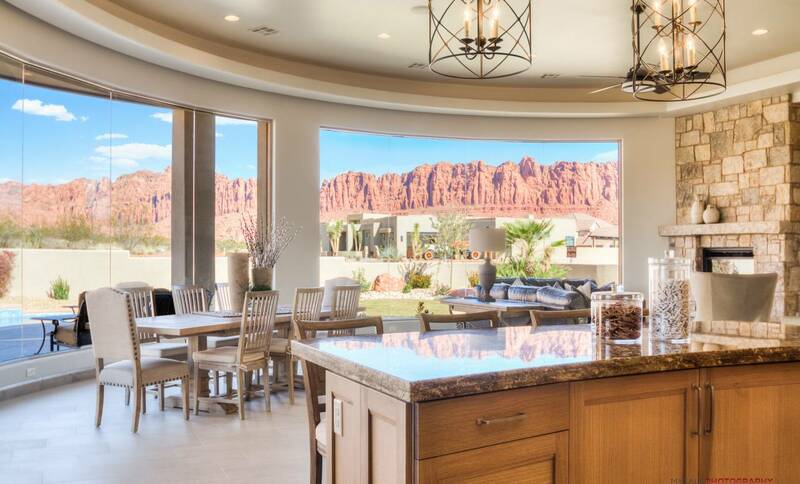 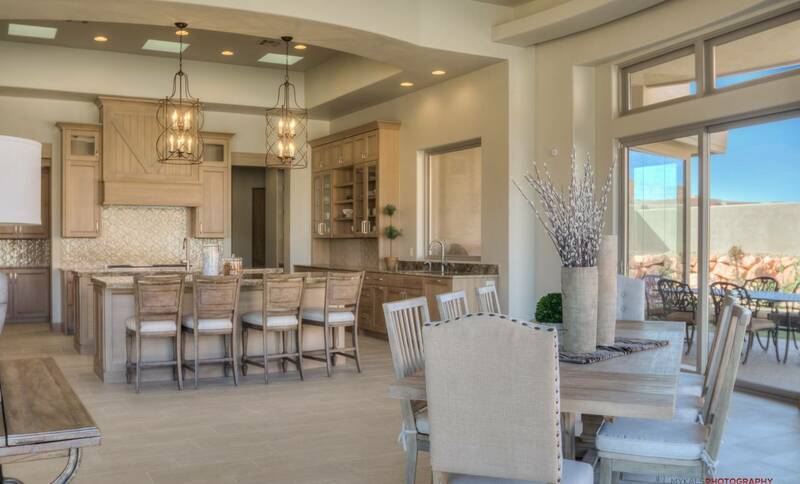 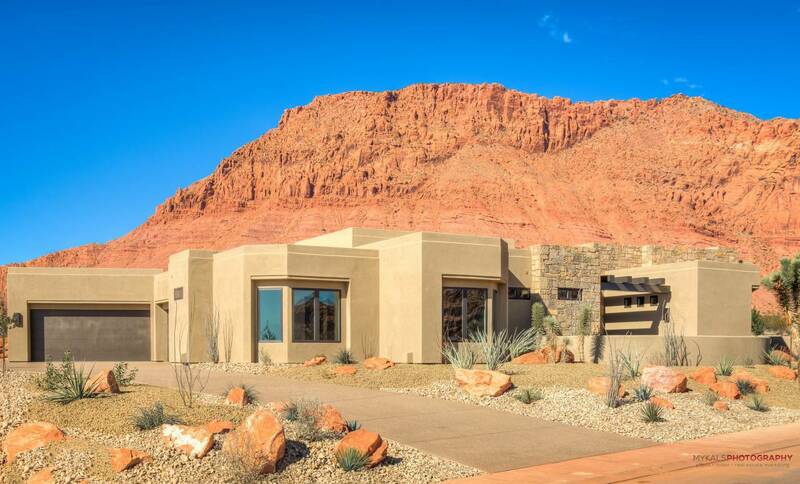 Breathtaking views of the red cliffs of Ivins and an open floor plan with exciting spaces. 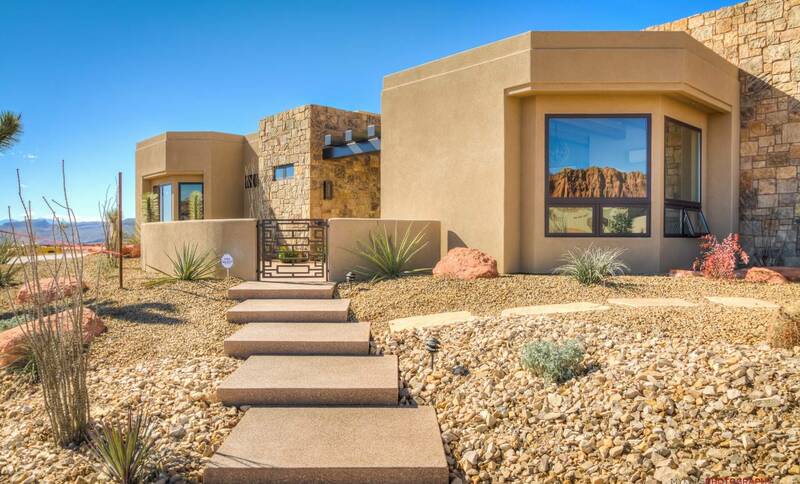 Half circle panoramic floor-to-ceiling windows fill the property with light but are also treated with UV protection against the bright desert sun. 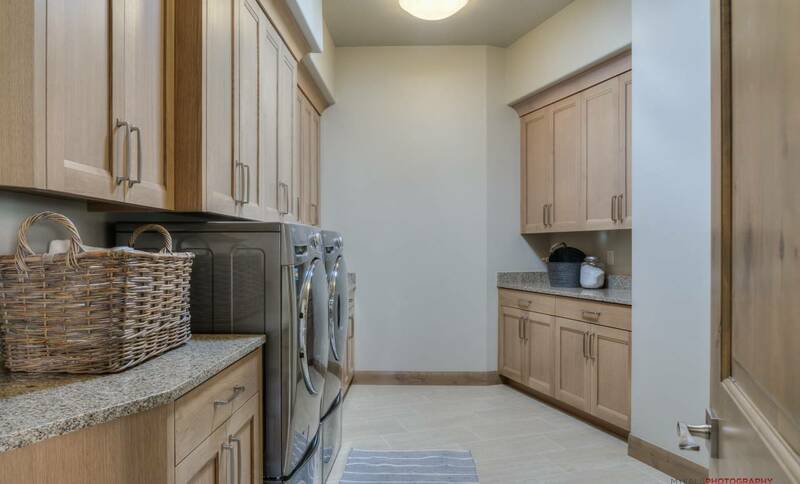 The master bathroom boasts a full soaking tub, built-in vanity, dual sinks, separate shower, large walk-in closet and a separate room for the toilet and bidet. 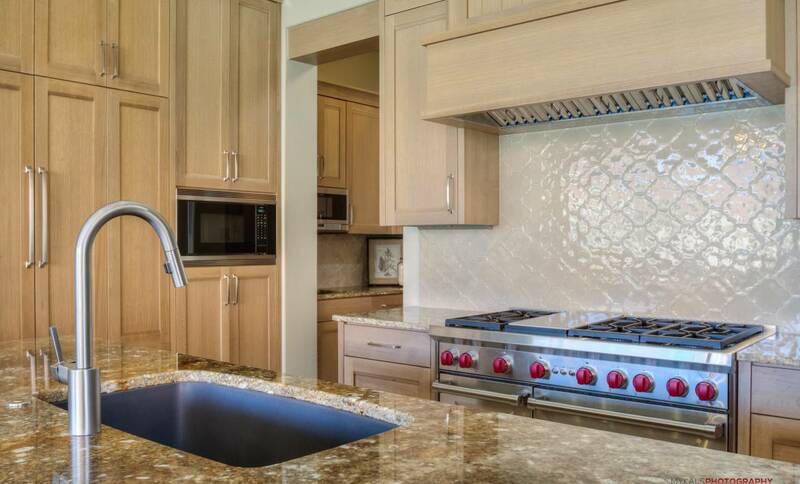 The gourmet kitchen features a 6-burner gas stove with inlaid grill Wolf/Sub Zero appliances and natural edge granite countertops. 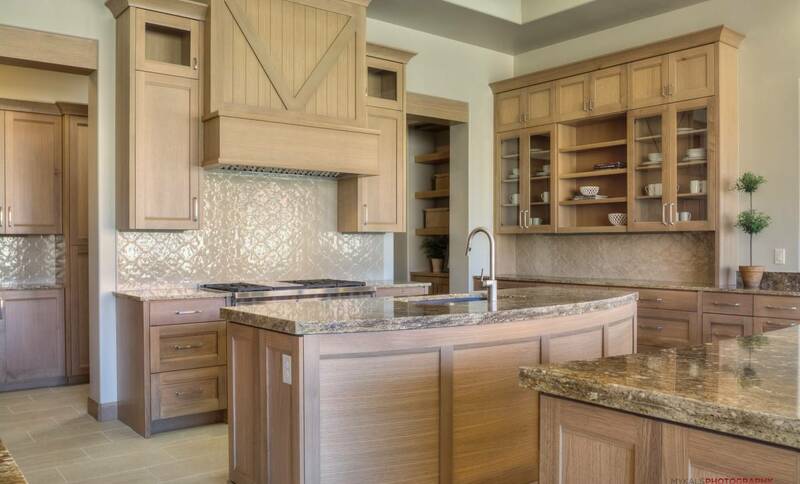 There is also a ’quarter kitchen’ near the back of the home for better outdoor entertaining. 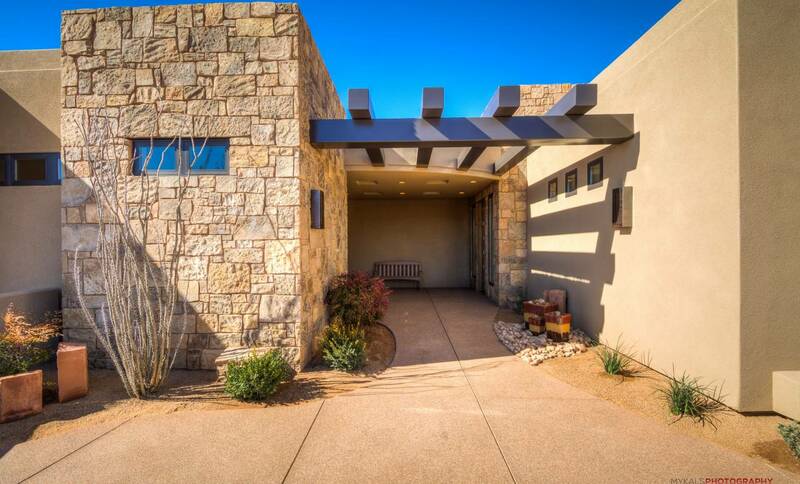 Enjoy the outdoor living, whether swimming in the pool or around the fire pit enjoying the view. 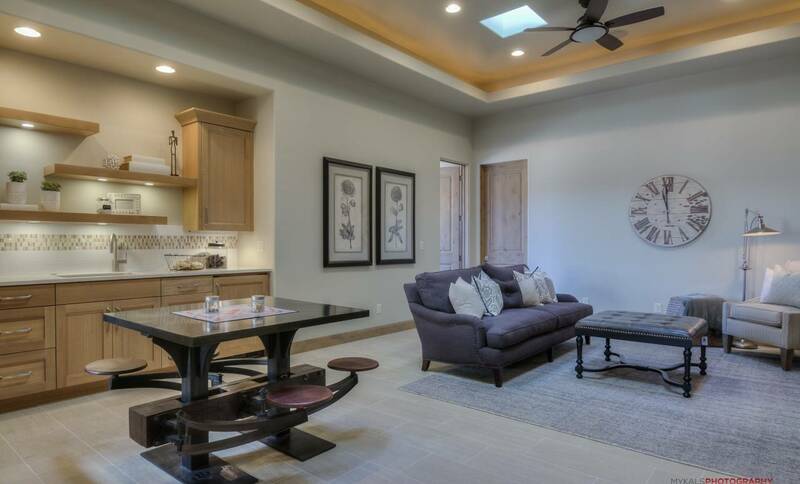 The property also features several skylights and solar tubes to maximize energy efficiency. 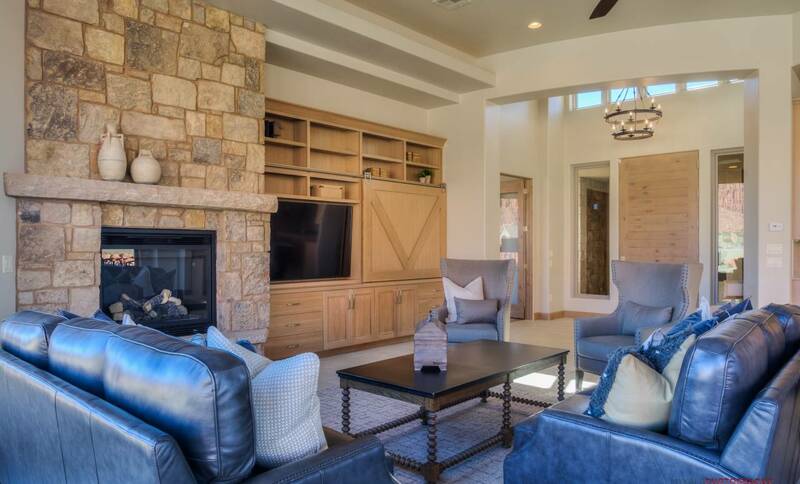 This property has garage space for four vehicles, granite continues into the large laundry room and four large bathrooms — each with its own shower and walk-in-closet — a den that can be used as a separate TV room and an office.